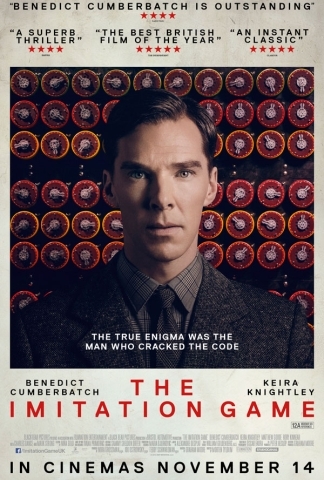 Brief Synopsis – The true story of a British mathematician who helped win the war for the allies with his expertise in code-breaking. My Take on it – This is yet another award contending movie that I’ve been hoping to see for a while. I’m truly glad my personal expectations and hype didn’t ruin this movie for me. I was immediately sucked into the wartime feel of the movie and being that I know a tiny bit about Professors and research, I was able to identify with the main character and his inability to properly connect with the world around him. Benedict Cumberbatch does a great “impression” of a few people I know who are similar to Alan Turing. I personally knew nothing about this before seeing the movie, so I was very pleasantly surprised by the storyline and plot and the way it captures the viewer. My one minor criticism here is that although I understand why certain “social issues” were introduced into the storyline, I felt that they were done more to politicize the story than the help advance or explain the storyline. I’d explain this feeling better, but since I don’t want to lead to any kind of “spoiler”, I should probably stop here. Bottom Line – Excellent telling of this important story that most of us (probably) knew nothing about. Cumberbatch does a great job as the “spacey” professor whose mind works on a different wavelength than everyone else. I understand why it was done, but the social issues brought up seemed a bit too politicized instead of helping with the story. Highly recommended! Genre Grandeur Worthy? – Most definitely YES. This was such a great movie that works on so many levels and is now one of my favorites in this genre of British Thrillers. Great film. Neat review too 🙂 I really do love that quote too. It’s such an important story. So glad it was so well told. Ur such a quote man Alex! Tnx for stopping by and commenting! Cumberbatch makes the movie for me. Wasn’t blown away by it, but a solid attempt of bringing attention to a very important person. Great score too. Nice review. Correct. Tnx for stopping by and commenting my friend! yes, they did this very well! Flat out one of the best movies I’ve ever seen. I’m glad you liked it!